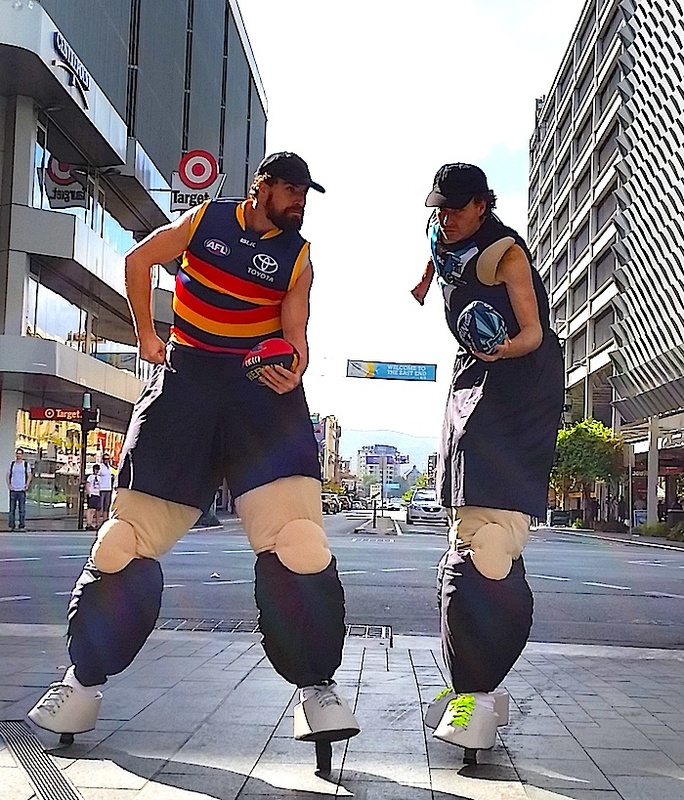 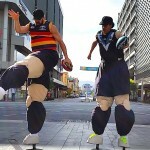 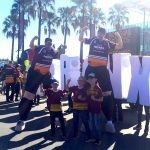 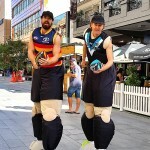 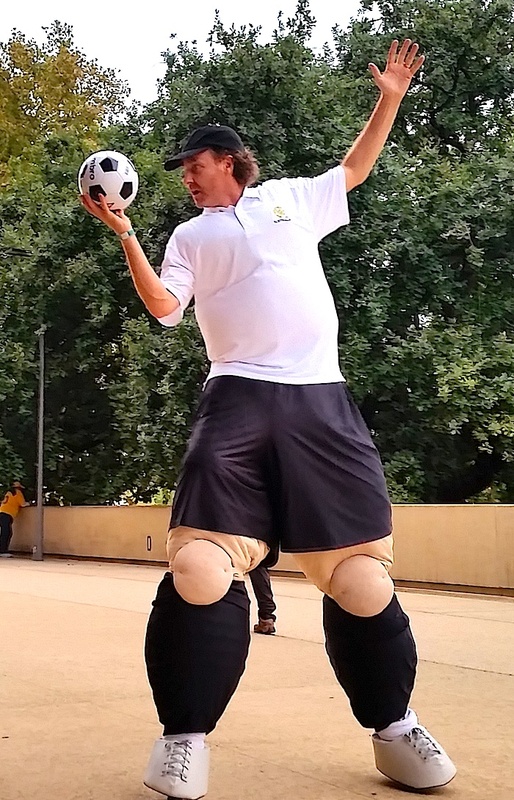 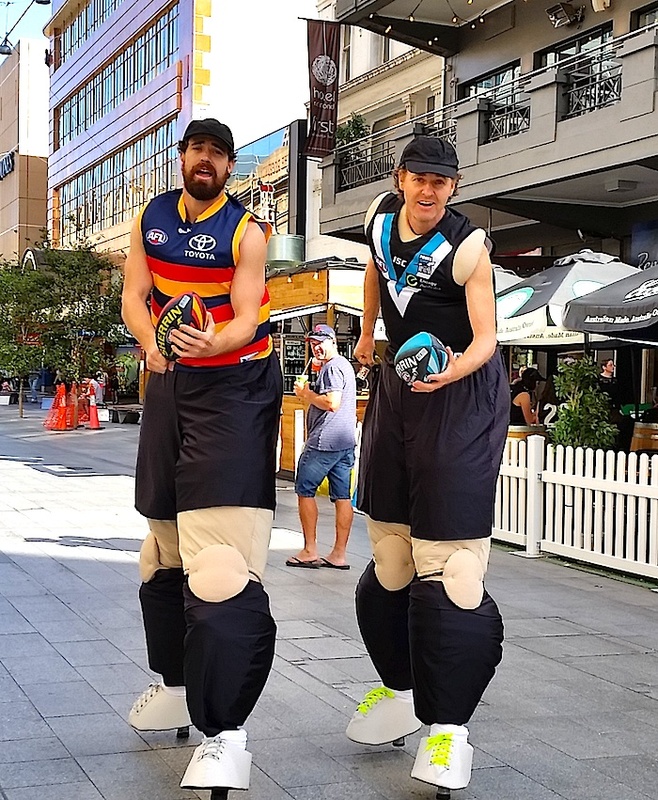 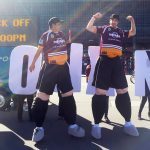 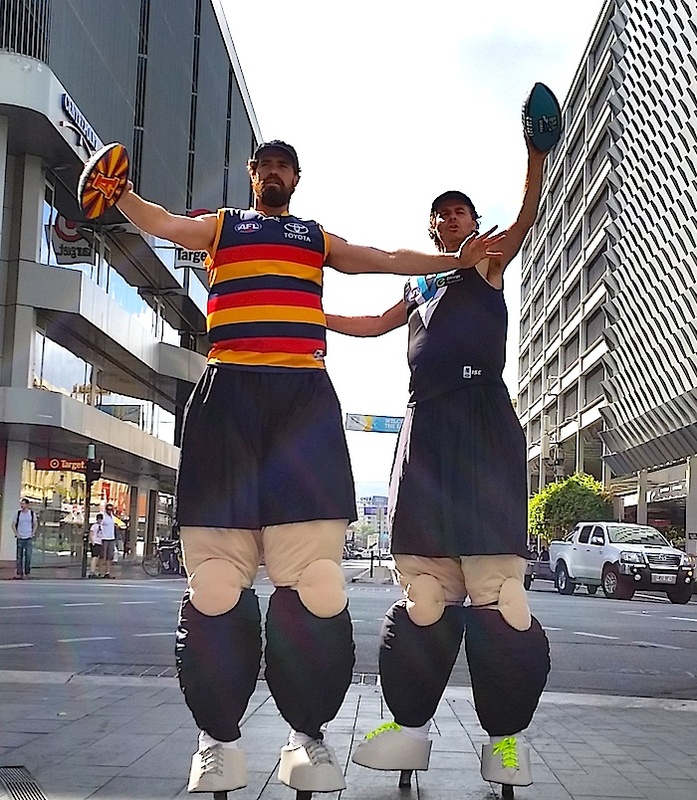 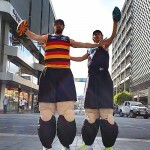 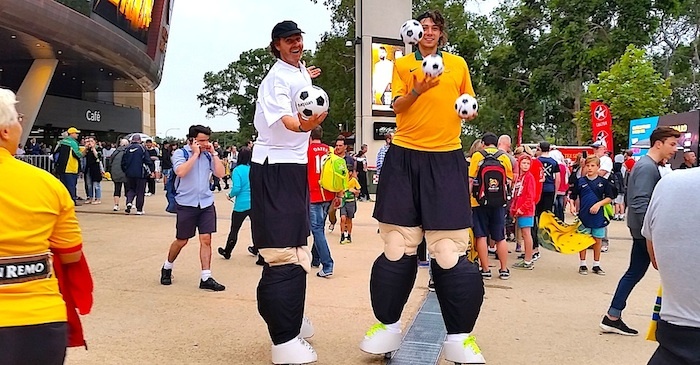 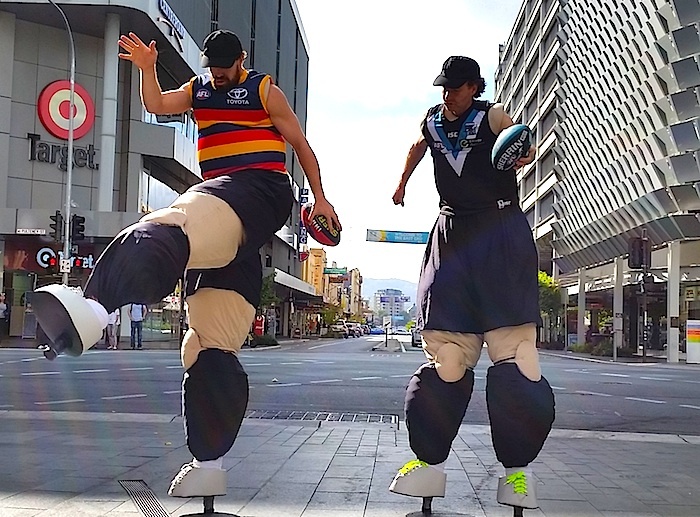 Stilt Footballers All Codes - ""
Be it Soccer, Aussie Rules, League or Rugby, our oversized footballers can be themed to your code and team. 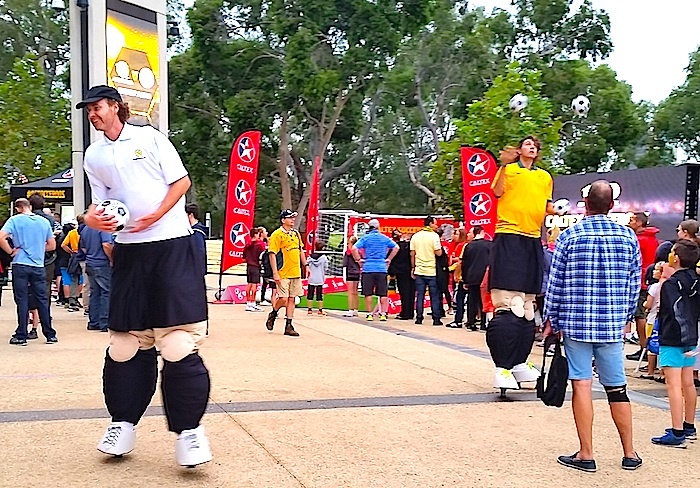 Perfect pre-match entertainment, our specialised designs look fantastic. 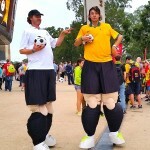 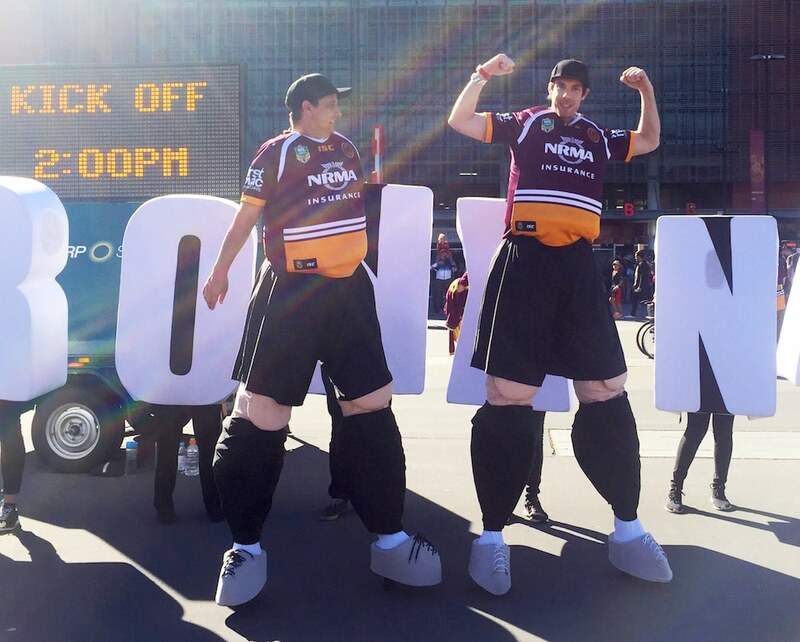 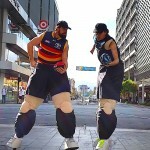 These giant stilt characters a great focus for crowds flooding into a stadium. 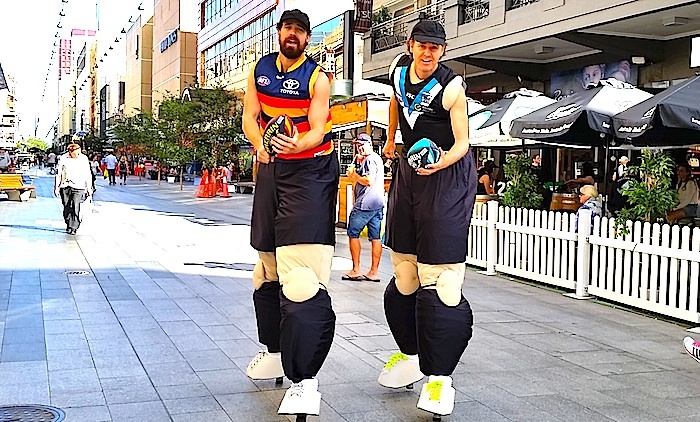 With the addition of comical banter and even juggling by some performers, they keep everyone smiling and laughing as they wait for gates to open. 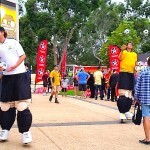 Or if you would like them to rove inside the stadium or at a corporate dinner, that’s something we do as well. 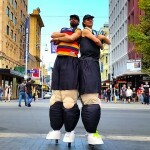 The stilt walkers are very mobile, can bend through doorways and work a crowded room with ease. We have a base in Adelaide and another in Brisbane, but we also have performers around the country to freight equipment and costumes to. 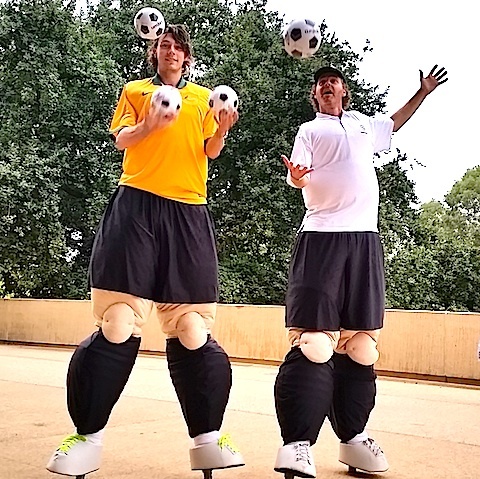 We have plenty of sporting characters if you would like variety with stilt cricketers, soccer freestylers, circus sports stars including acrobats & jugglers, Soccer or Basketball spinners, and our amazing and original Acrobatic Bouncers! 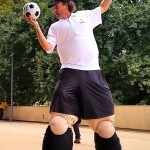 For soccer events we also have street soccer (or football) cages!